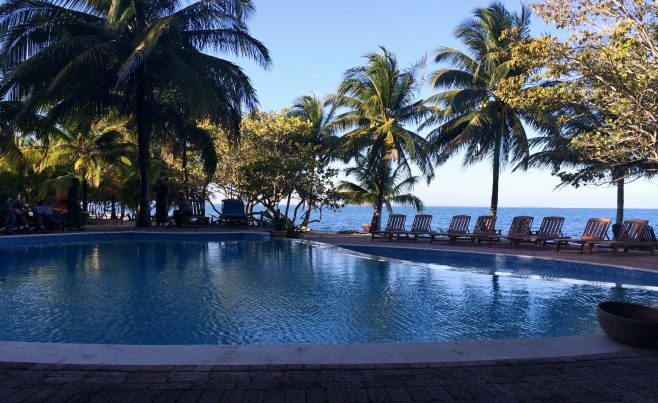 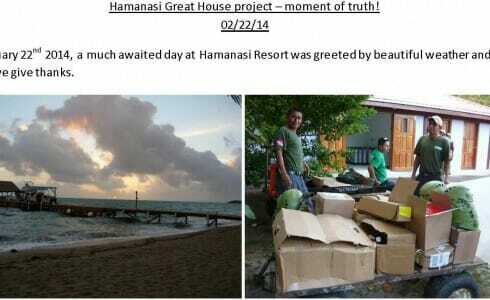 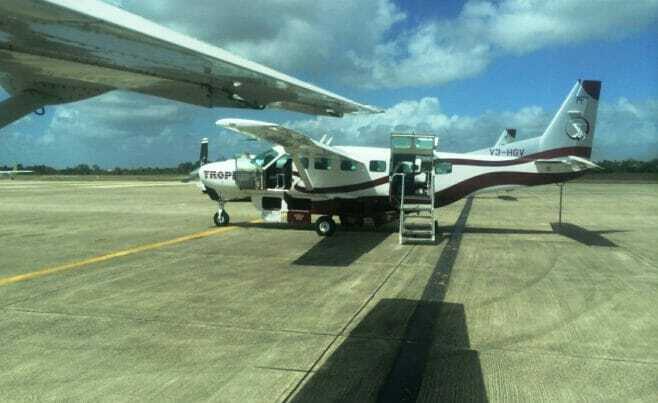 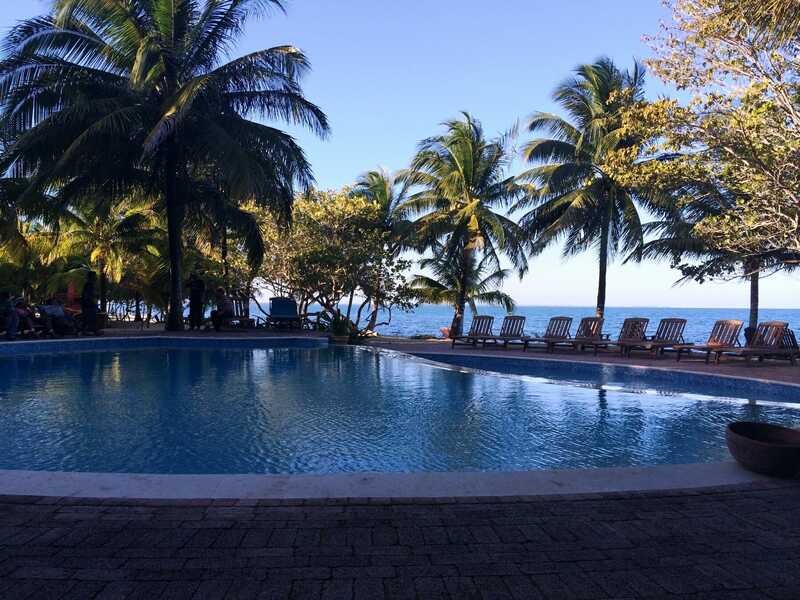 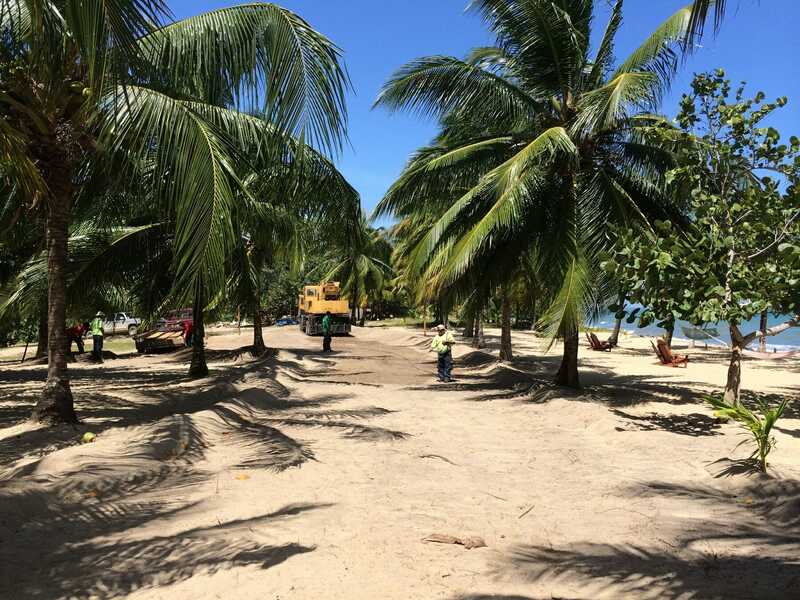 The Hamanasi Resort is in Hopkins, Belize. 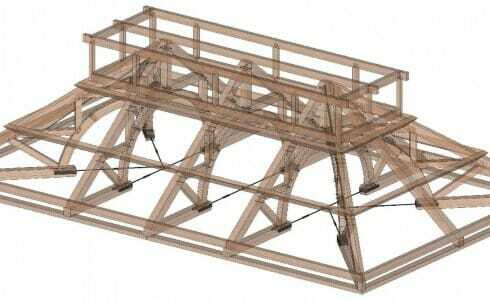 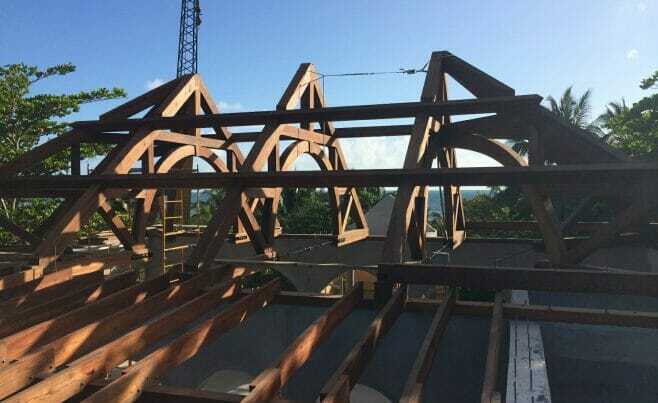 In May 2012, Philip E. Flurry at P.E.F Designs contacted Vermont Timber Works about helping with a timber frame design for the Great House at the resort. 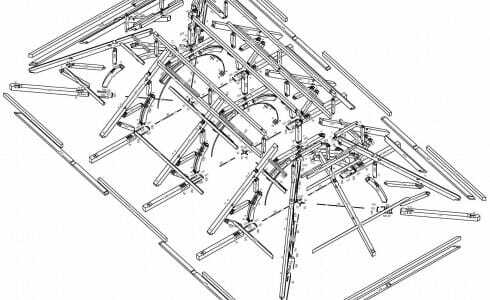 Our design department was a bit slow at the time so we agreed to consult on the project. 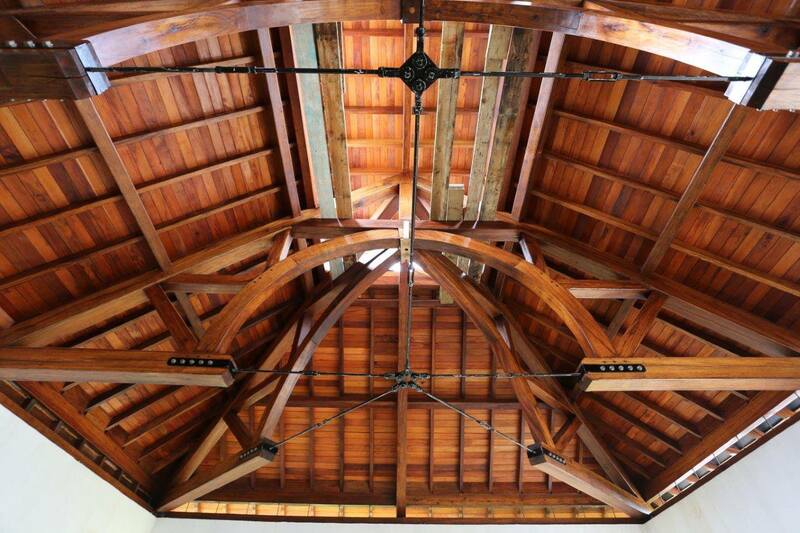 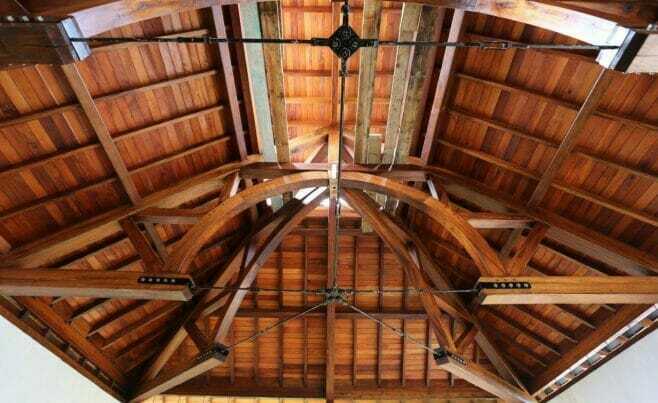 We soon discovered that Philip was inspired by one of our previous jobs, Christ Episcopal Church, in Springfield, MO. 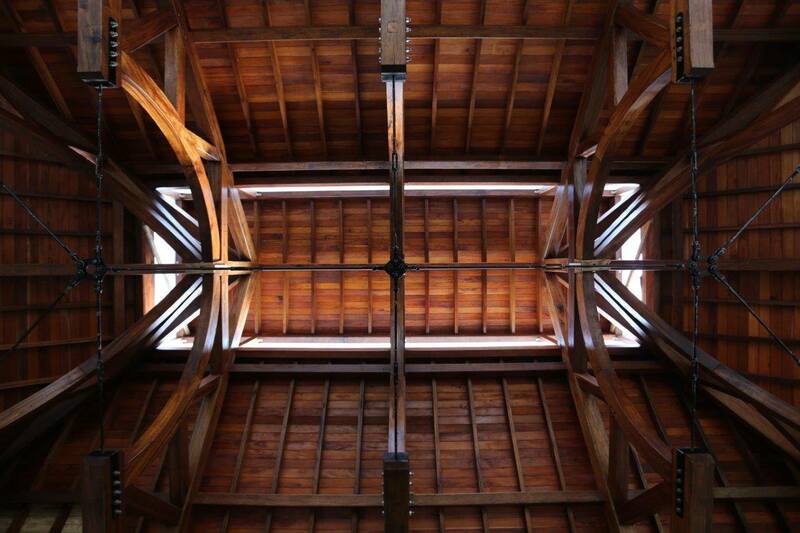 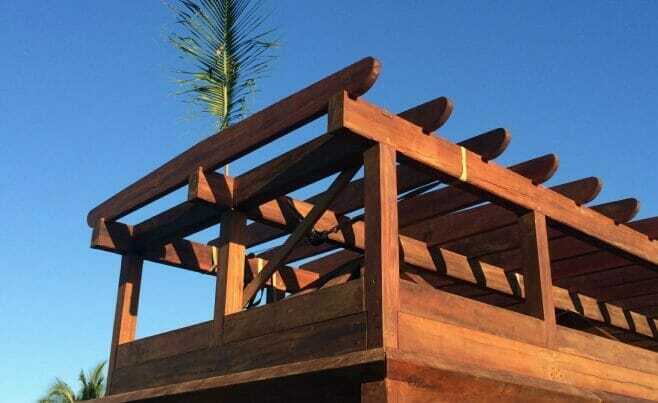 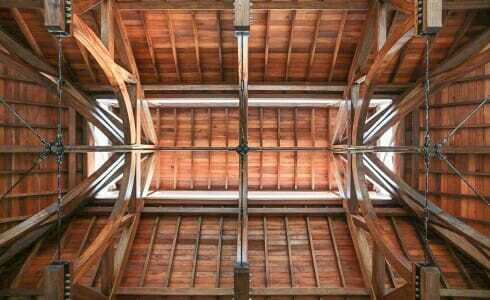 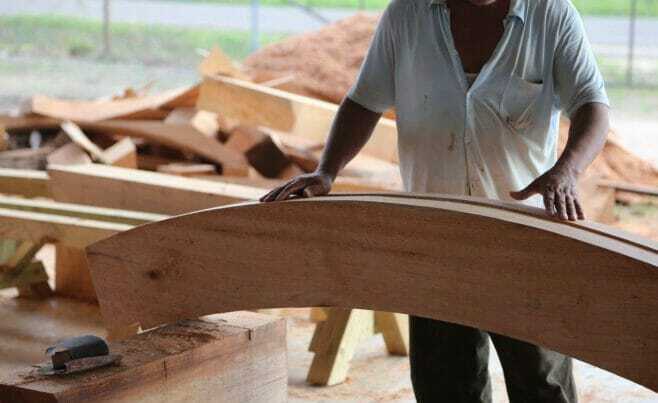 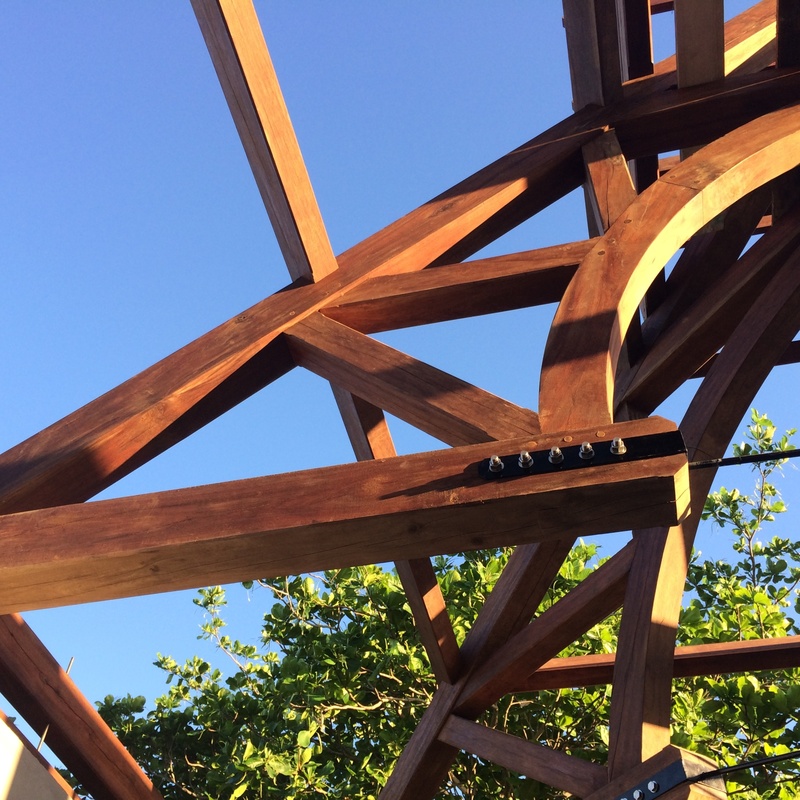 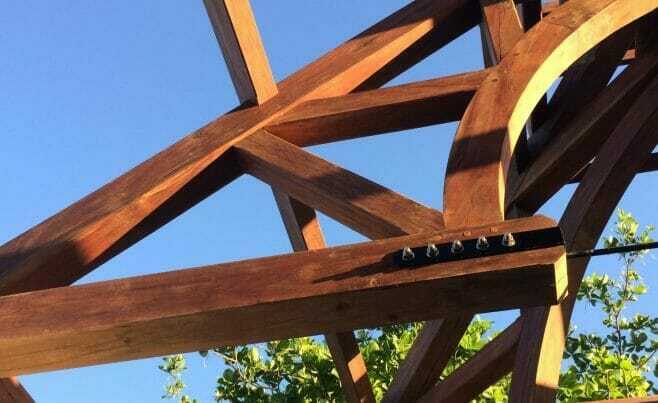 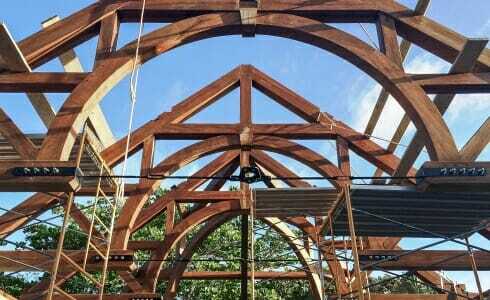 He used the design-concept as the basis for the Hamanasi frame and added hip trusses and a widow’s walk and selected Santa Maria timber, which is native to Belize, as the wood species. 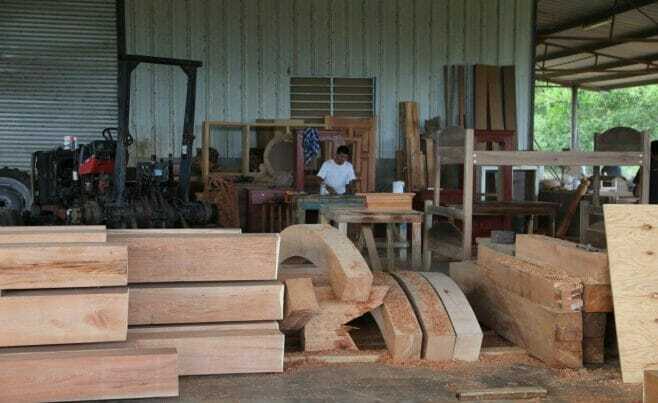 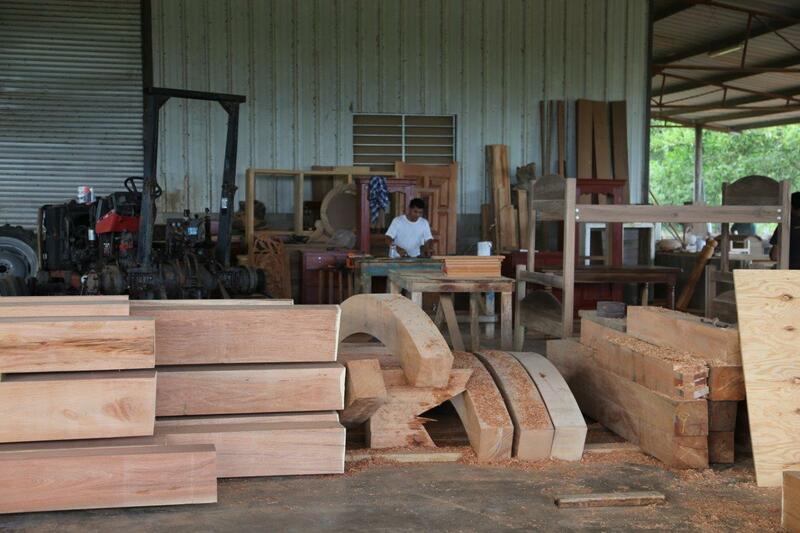 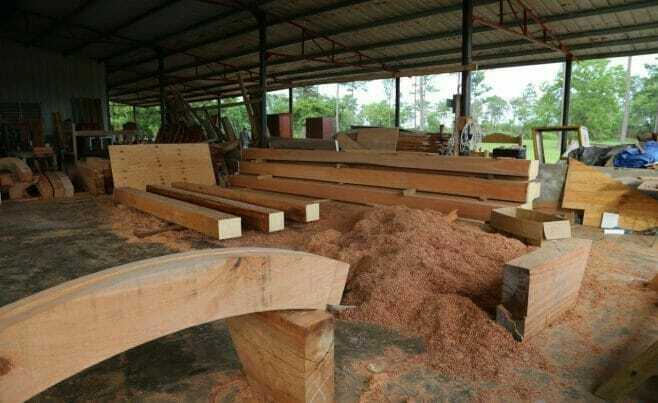 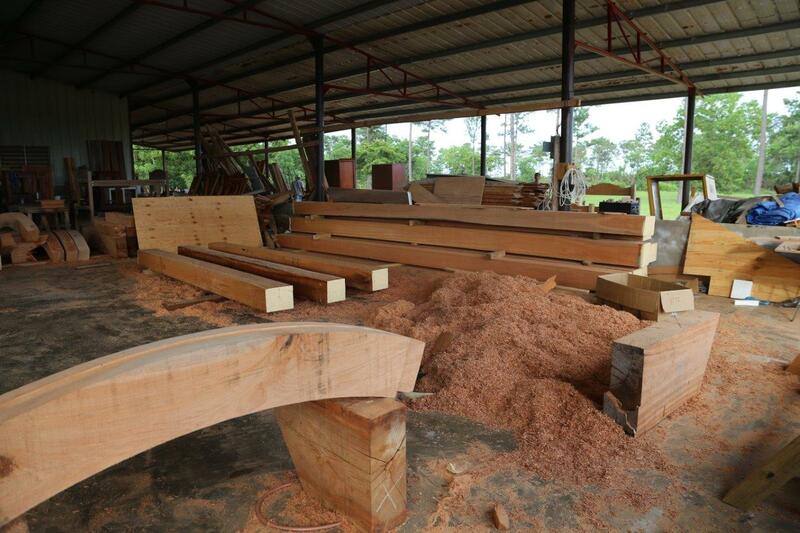 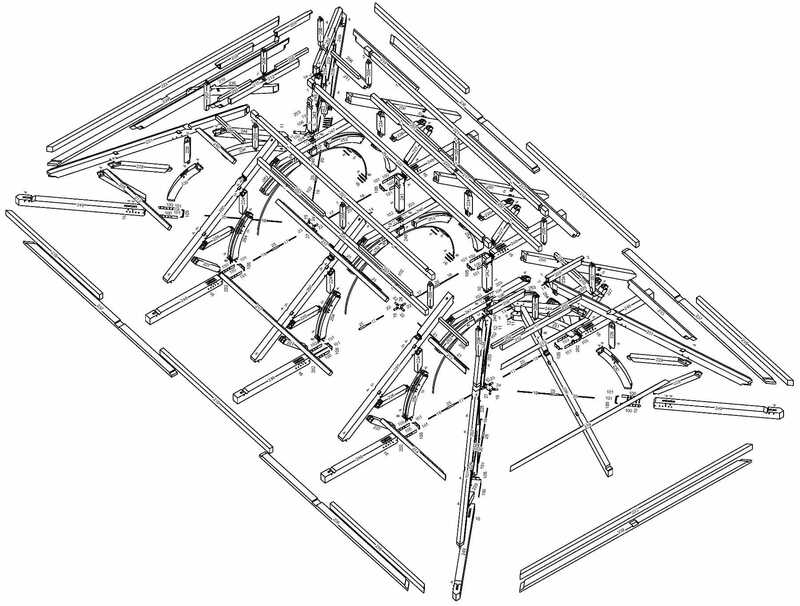 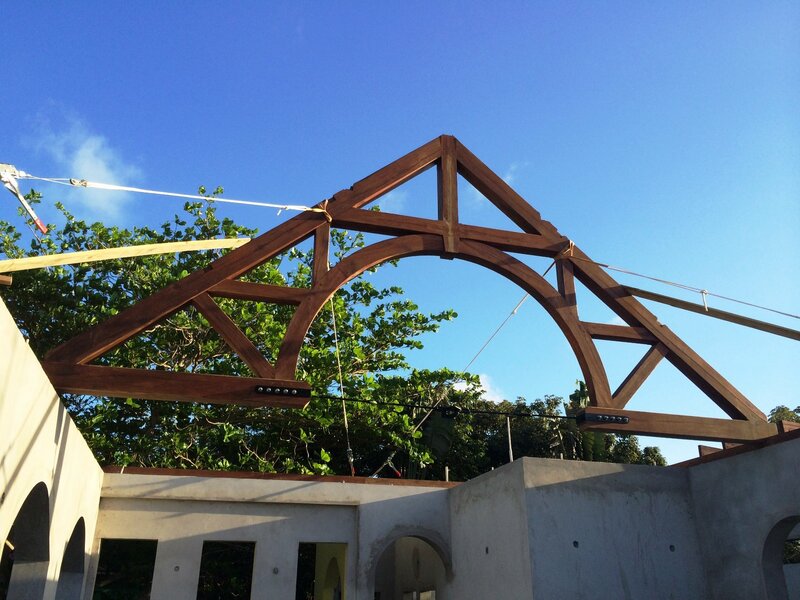 VTW’s design department took Philip’s concepts and ran the engineering and created a detailed set of shop drawings for the local construction team in Belize — headed by Philip McNeil — to use for the fabrication of the timber frame. 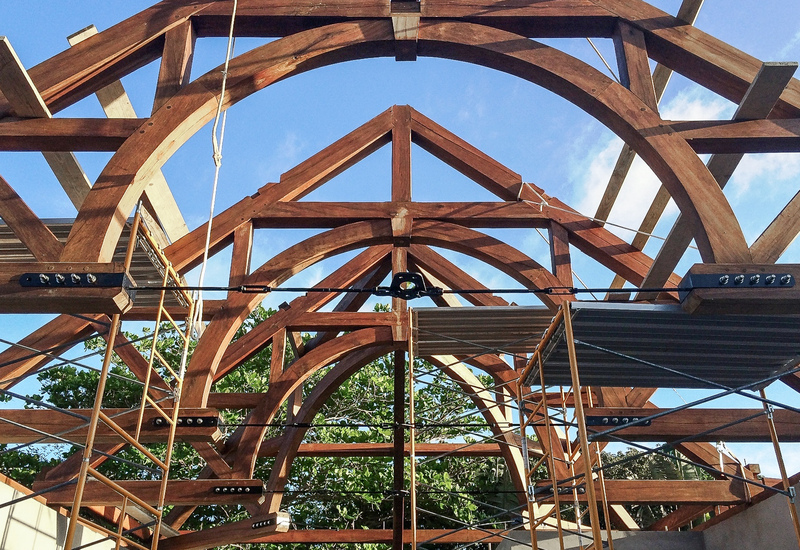 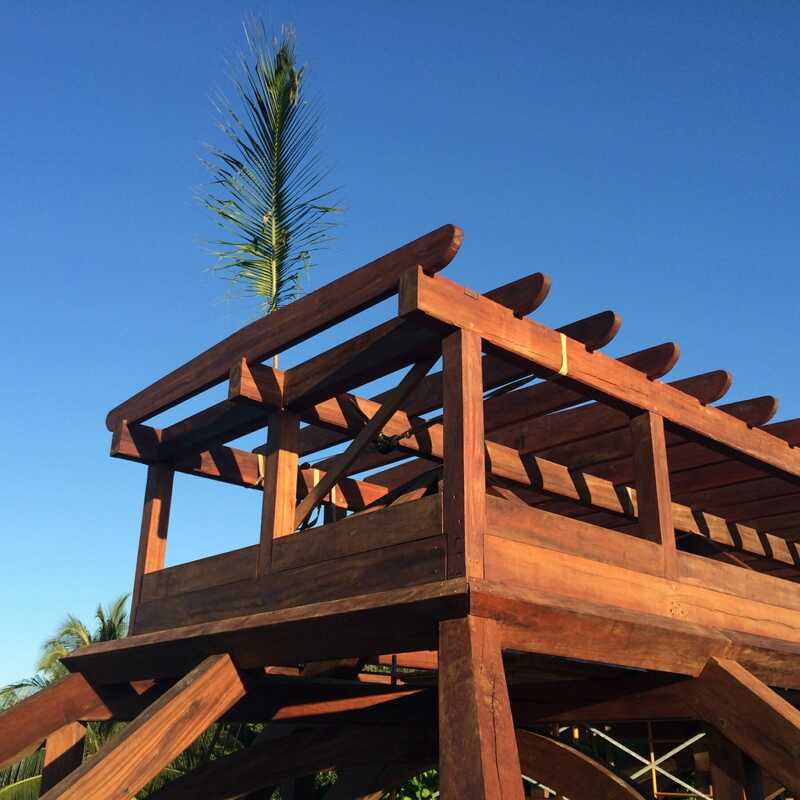 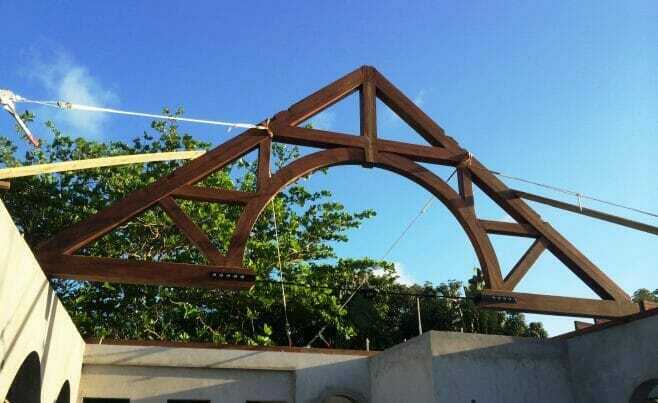 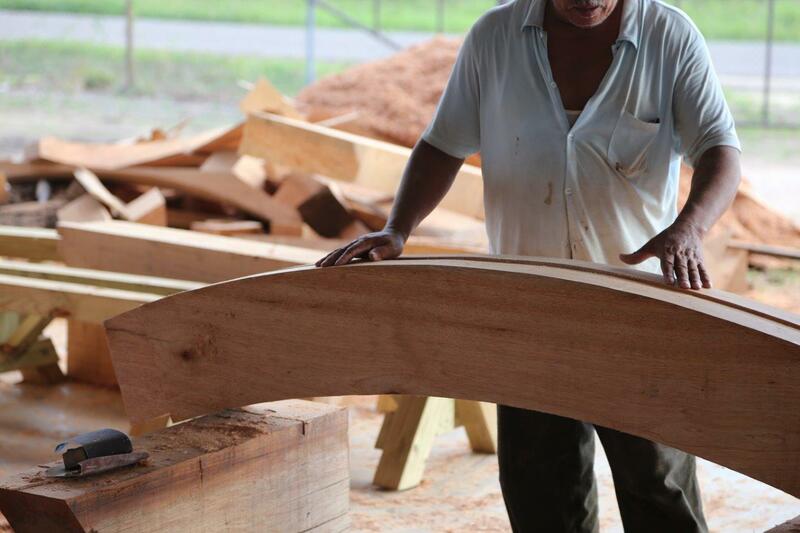 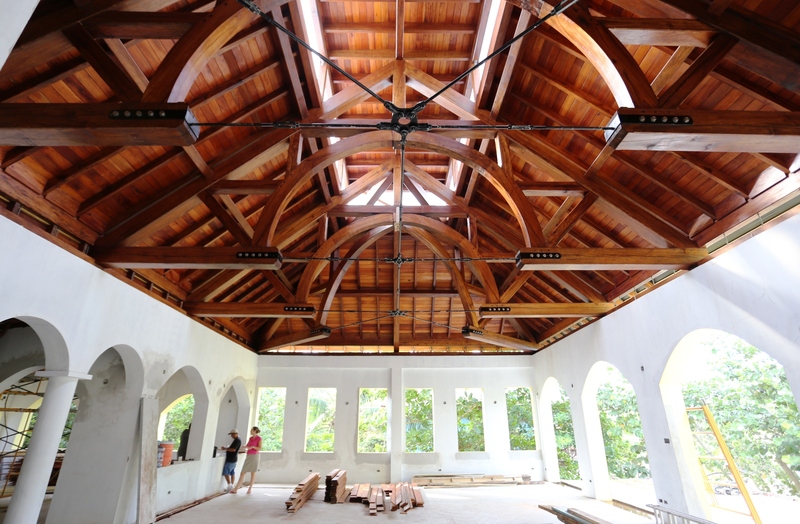 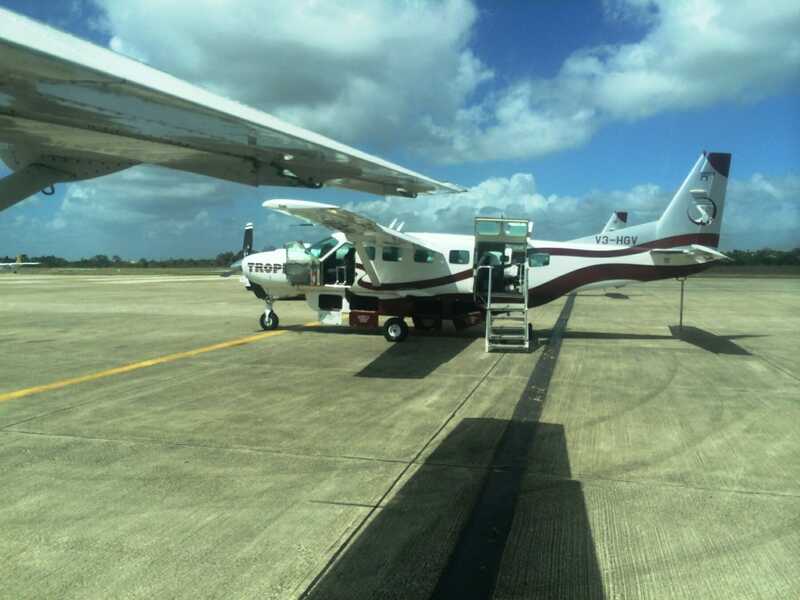 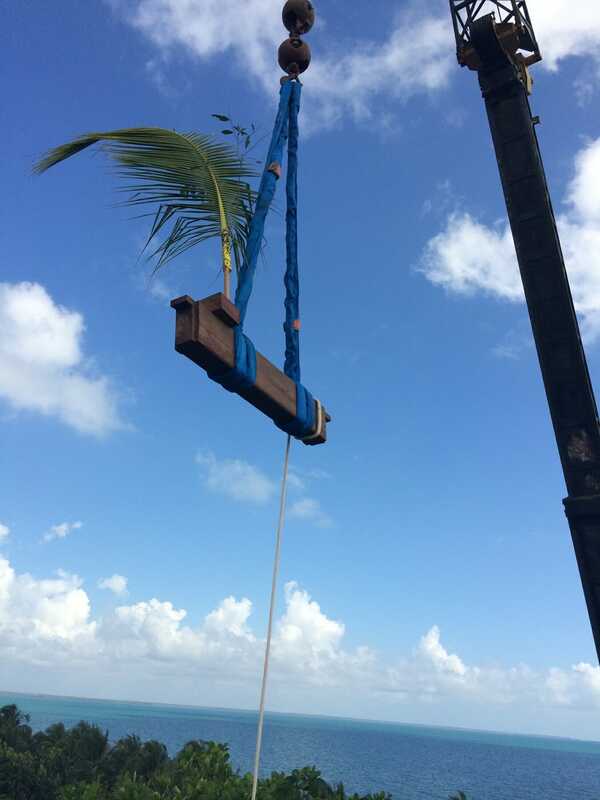 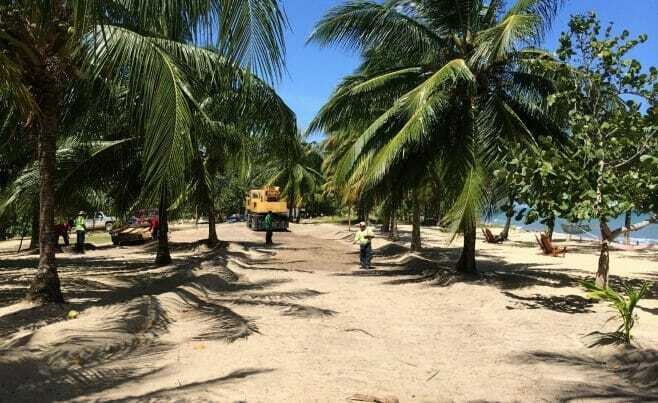 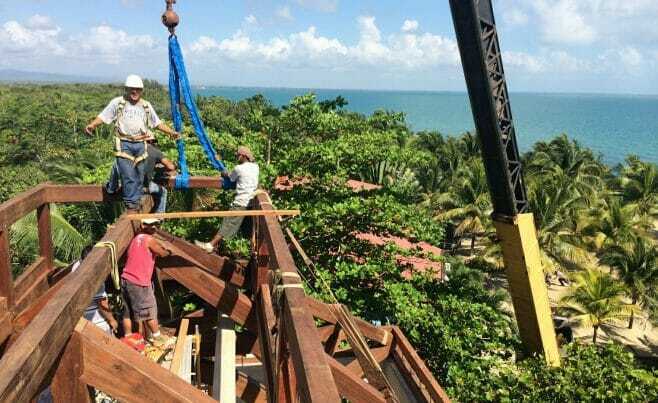 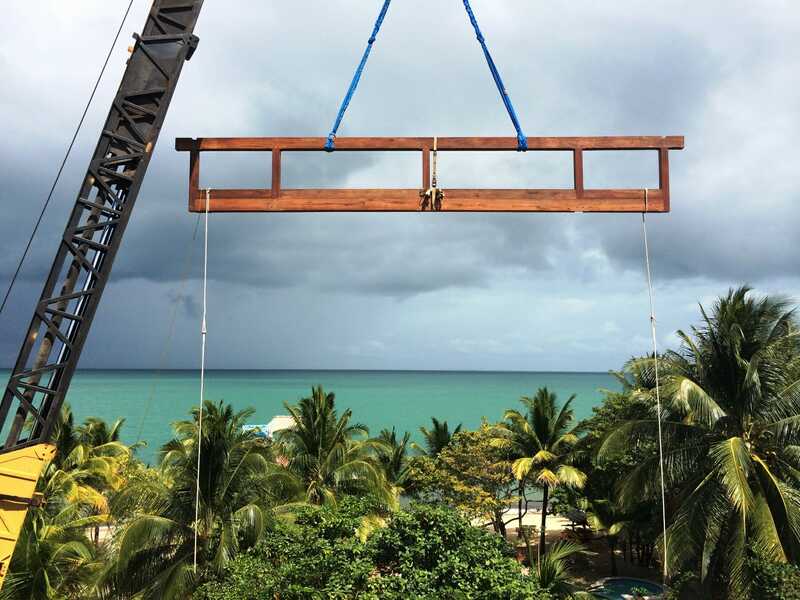 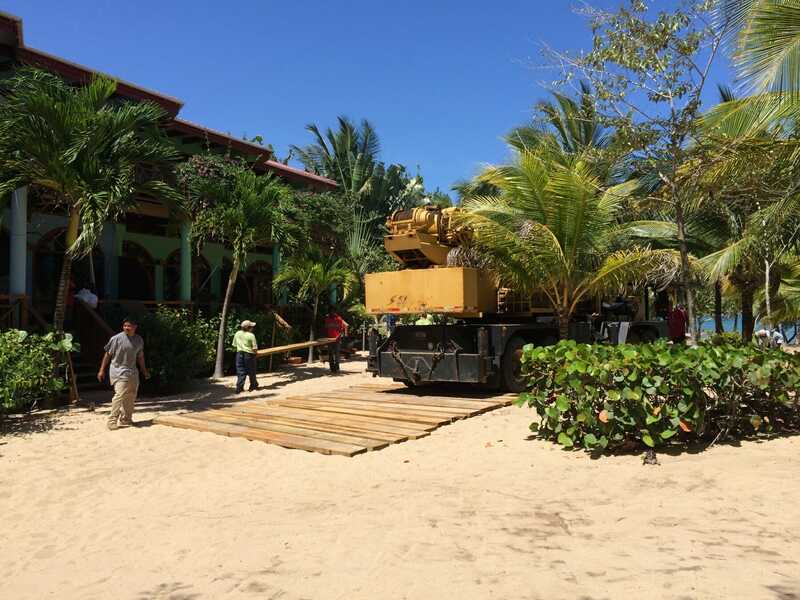 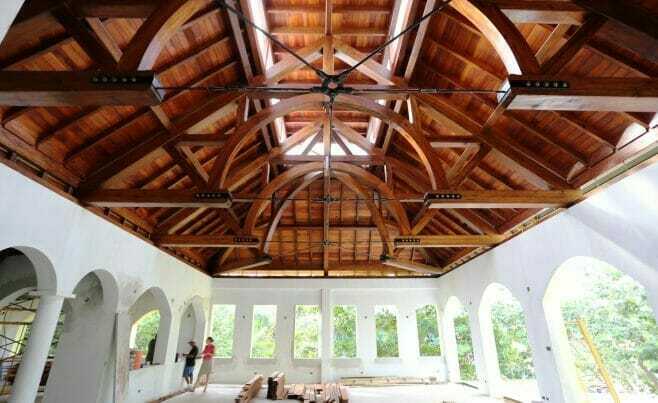 Launce Roberts, Hamanasi’s general manager, asked that we bring our timber framing expertise to Belize for a bit of international consulting during the fabrication of the frame and site supervision during the erection of the frame, which we were happy to do. 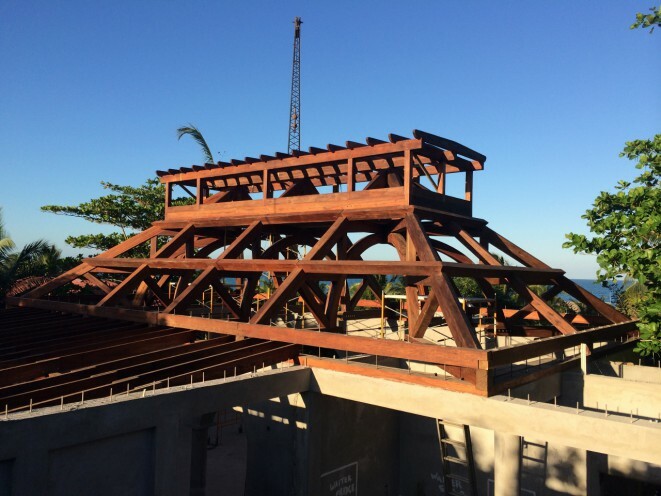 VTW’s site supervisor worked with Launce and Philip McNeil to come up with a detailed erection plan and schedule. 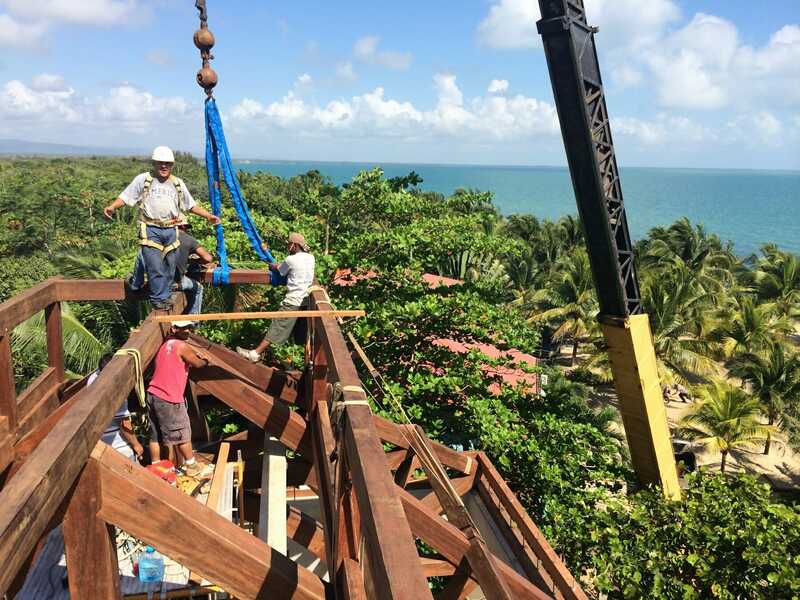 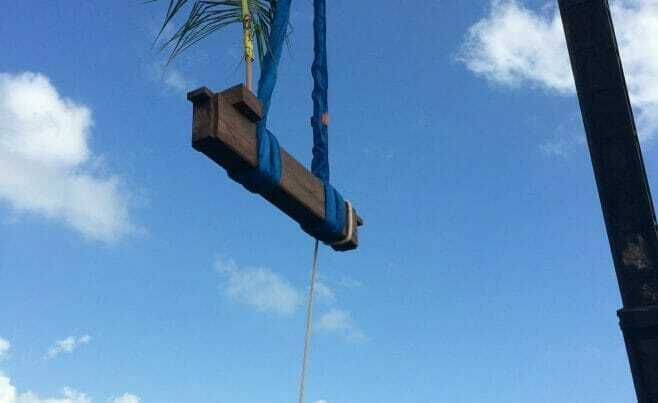 Launce had exactly one week to close the resort for the timber frame to be erected and he didn’t want to take any chances. 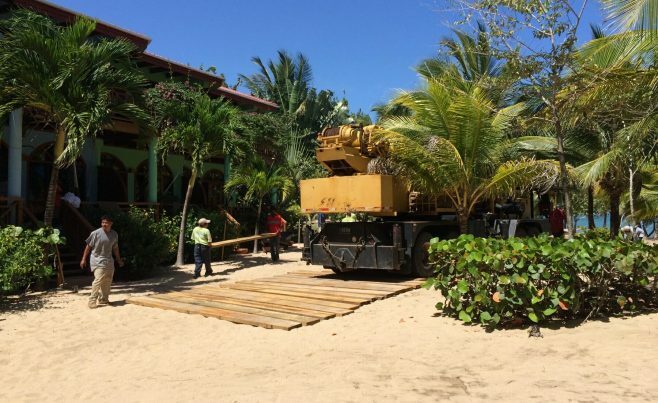 The crane moved in and the construction team started work right as the lasts guests left for the week. 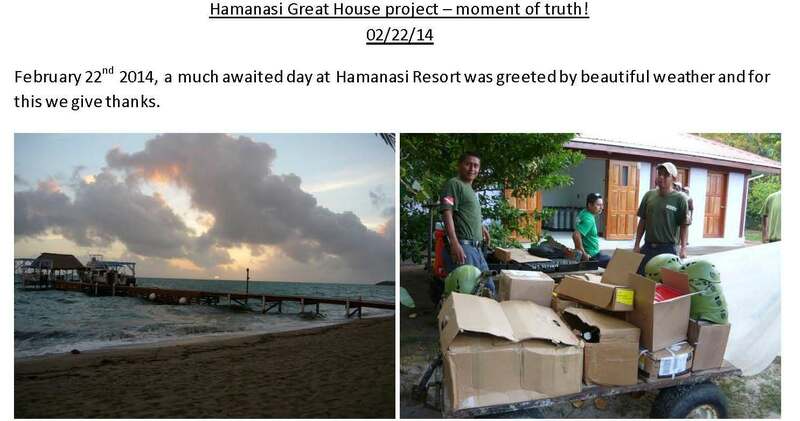 We helped carry the plan to fruition on time and on schedule. 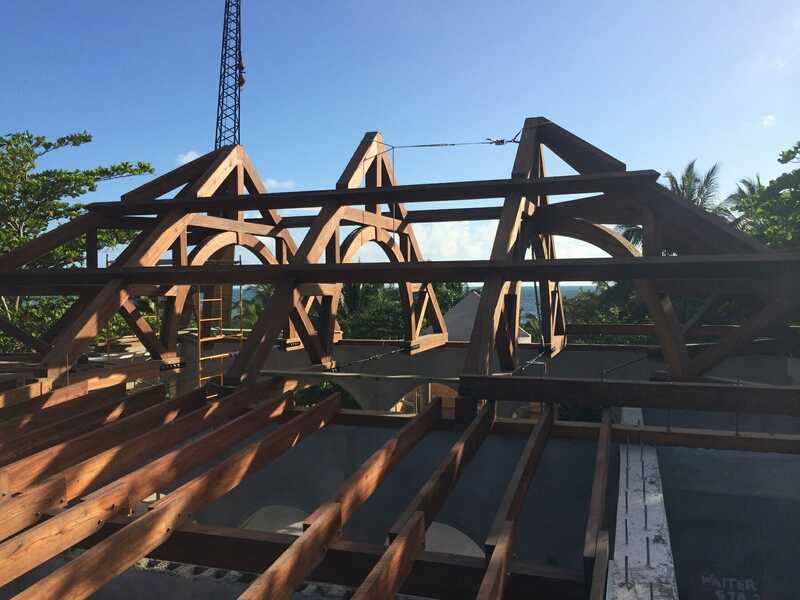 To see the project in even more detail, feel free to download any of the materials below.